Alhamdulillahi rabbil alameen as salatu was salamu ala ashraf al mursaleen Sayyidina wa Mawlana Muhammad al Mustafa sallallahu alayhi wa sallam. Madad ya Sayyidi ya Sultan al-Awliya, Mawlana Shaykh Abdullah Faiz al-Daghestani. 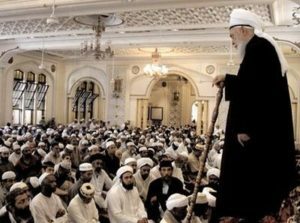 Madad ya Sayyidi ya Sultan al Awliya Mawlana Shaykh Muhammad Nazim Adil al Haqqani, madad ya Sayyidi ya Sultan al Qulubina, Mawlana Shaykh Hisham Kabbani. Unzur halana wa isfalana abiduna bi madadakum wa nazarakum. Madad al haqq, ya hujjatallah al mukhlis. A’udhu Billahi Minash Shaitanir Rajeem, Bismillahir Rahmanir Raheem, Atiullah wa ati ar rasul wa ulil amri minkum. Always a reminder for myself ana abduka ajiz, save us from difficulty. May Allah’s Rahma to forgive us and continually bless us for the sake of Sayyidina Muhammad ﷺ and for the Nation of Sayyidina Muhammad ﷺ.
Allah (AJ) from this holy month Rabbi al Thani (6th lunar month) which is the month of the qamar, the month of Surat al Qamar (54th chapter of holy Quran), the moon. From the teaching of Awliyaullah and the realities to open the heart of the seeker. That from the secret of Surat al YaSeen, the heart of Holy Qur’an, Allah (AJ) is describing in this ayat al karim 68th. 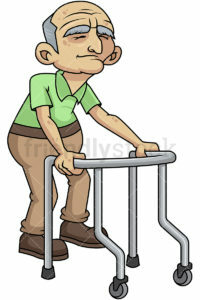 “To whom We bring onto old age, We reverse him in creation making him to go back to weakness after We gave him strength, have they then no sense?” It’s a warning from Allah this life that has been given to you is temporary, it has an accounting and a hisaab. Means for our lives and what Awliyaullah come into our life and say, “Don’t be astonished by the knowledge of the head, but seek a path in which your knowledge is from the heart.” Knowledge of the head is very temporary, it illuminates only their brain. They memorize, where they have strong memory, and they read and translate and keep talking from their head and these are scientists, these are professors at school, these are lawyers, these are doctors. These are all whom in this dunya they say, “MashaAllah, what a powerful mind you have, what a powerful mind that was.” A famous scientist, a famous doctor, even famous scholar, zahiri, we are not talking about ahlut tariqah and the students of ahlut tariqa, this is different. This is whom they take their ‘uloom (knowledge) in memorizing books, and reciting from books. Everywhere they go they put many books, and they have to keep reading from them. 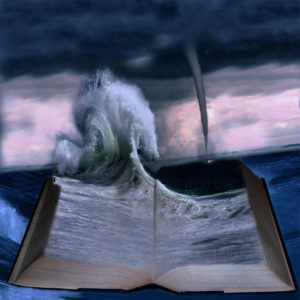 They are like libraries, huge, some events have many books. Allah is warning for external people that: you may reach a height of knowledge in which We gave you a strength and knowledge, but we are going to pull it, if it is only from your head. So as they begin to memorize they keep getting worried about their memory, and so they have to take more books with them everywhere they go. That knowledge that they have is by reading, reciting, reading, reciting, they keep forgetting and they bring more books, more books. Then Allah (AJ) described from our cousins in Holy Qur’an (62:5) that: this knowledge you have, you carry it with you like a donkey carrying books. 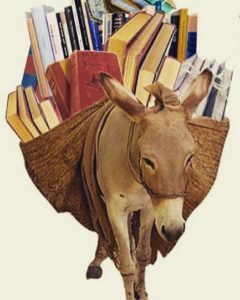 This knowledge that you are carrying with you is like a donkey carrying books. Allah (AJ) then doesn’t hold that knowledge in too much esteem; it’s considered like a donkey carrying books. You are bringing this everywhere with you, this is not a knowledge that they are talking about. Because there are many who speak and give out their knowledge from again, scientists, professors, think of all the people in our lives that Allah is describing for us. Their knowledge did not benefit them but, they have lots of it. And they dispense it everywhere, and they reach a stage in this dunya of power and strength. Then Allah (AJ) begins to shut the power off and you find many of them unfortunately in hospitals with Alzheimer’s and dementia. They don’t remember anything. They were not nobody; these were big professors, big scientists, big doctors, big people of dunya. And Allah is saying: take a warning from that. Don’t be under the illusion of a temporary dunya. The uloom in which they talk is very temporary, it is not illuminating the heart. 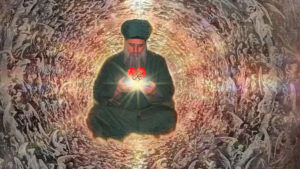 So then from Tazkirat ul Awliya (ق) and for us to understand the way of Awliyaullah is from Sayyidina Jalaluddin Rumi ق. For us to understand, he is a big ‘alim (scholar), but an `alim of the books; that was carrying around books and books and wanting to recite from books. He came across one of Allah’s Awliyaullah by the name of Shams Tabriz. That should be enough of an understanding: he met the sun, he met a shams, he met one of whom their hearts are illuminated. 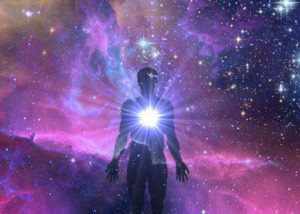 As a result of the illumination of their heart, they are reflecting these realities. 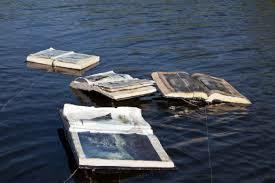 They came into contact with each other–we give a short version of it–Shams got his books and threw them into the water. So a big ‘alim walking with books, he came across the path of a wali (saint) and the wali took his books and threw them into the water. He didn’t insult him, because there is a haqaiq in every step of what is happening. Threw it into the water, didn’t throw it into the mud, didn’t throw into dirt, that is a respect for it, he threw it into ma’i (water). One, I am now going to teach you a secret from that. So Sayyidina Jalalluddin got very upset. He said, “Why did you throw my books?” He said, “now pick up your books.” When he picked up his books they were not wet. He said, “This is what you need to seek. You need to seek realities. Not that which you are carrying with you and memorizing and talking. The danger of going and saying, ‘I have these ten-thousand books or two-thousand books, that I have read and I will talk to you about.’” Allah will ask you, “How many of those did you put into practice?” Thousands of ayat of Qur’an you want to recite to people, and not one of them you lived by? He is going to ask: these books that you are talking about and talked about all your life, you read them all, did you practice and live by them? Or it was just you regurgitate and give to people whatever they can take? And Awliyaullah come into our life and say, “No, no, when he threw that into the water that knowledge was dressed by the ocean of al hayat. ( When he returned the books to him pure and purified. He is teaching him now: this knowledge we are going to pull from you; what you think you know, because you are coming to us with your cup full. We are going to pull it, not disgrace it, we are going to clean it. We are going to dress it from oceans of al hayat (ever-living) and give it back to you real. Means give it back to you real. So now when people are so concerned in their lives that whatever they are doing, their knowledges, their accreditations, their certificates, all that they have, and then this fear that: I am going to get old and forget all of them. Awliya are coming and teaching, “Because this knowledge you have, it did not illuminate you, and as a result now the time is in a descent.” Surat al-Asr where Allah (AJ) describes: insan is in a losing state. Means you have a highlight, you have a pinnacle, you have a summer of your life, you reach to a point where you think you are on top of the world. And then you are in a descent [indicates downward motion]. This point at the top is where they say you should worry. If at this point you are on the path with Awliyaullah they will describe. But if you are with people of this dunya (material world), when this point reaches and you begin your descent. Means all, everything is lost; your ability to think is lost, the knowledges that you were thinking and talking to people about are lost from your head. Even the things you specialized in life of your law, your sciences, your architecture, everything will be lost from your head. And this becomes what Allah describes: “Like a feeble state, like a child, they don’t know even how to take care of themselves.” God forbid. They did not reach the oceans of al hayat and they did not accomplish what God wanted for them, what Allah wanted for them. So then Ahl al Hayat, the shams, why Shams Tabriz because they are the sun; the sun are the najm. Prophet ﷺ described, “All my Companions are like stars”, they are all najm, they are all stars, they are all eternal in their reality. Awliyaullah (saints) inherit from Ashab al Kiram, from Ahlul Baytul Kiram and they inherit from that reality that they are a sun. 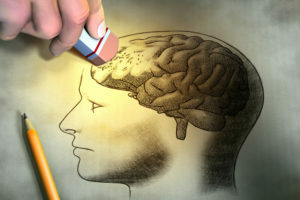 When they come into your life they are coming to illuminate your heart and say, “Don’t focus on the faculty of your head; your head, when the circuits become old and the energy is gone, that head will be worthless to you.” Many in dunya already their head is worthless to them, imagine as they get older? But, illuminate the heart. 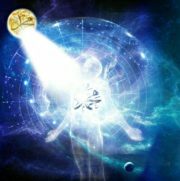 Ahlul Hayat if they come and begin to teach that: illuminate your heart, if your heart is illuminated from ocean of al hayat your entire being will be powered from that illumination. It is hard to describe a visual, many things can’t be put into words. You are living a temporary life and the people of dunya, there is like an energy that supports them in had ad-dunya. When the time for that energy is finished, it is like Allah cut the power. When the power is gone the circuits don’t work, it’s finished, that time is finished for that insan. Those whom their hearts are illuminated, Allah is giving them an internal generator. Does it make sense? You are working on and this is only by example…they will say, “Where is this in the Qur’an shaykh?” I just described the whole of Qur’an in that. You are taking from the outside power. What Allah wanted for us, no, no, no, your heart should be alive. When we are reciting salawat that Prophet ﷺ is Muhyi ul Qulub. Prophet ﷺ is Muhyi ul Qulub. If your heart is with love of Sayyidina Muhammad ﷺ, Prophet ﷺ will begin to plant into your heart the Oceans of al Hayat. Means he is going to make his love like a drop, where Allah describes Prophet ﷺ in Surat Noor 24th surah 35th verse. “This light is not from the East or West;” we don’t have an east and west, it is not from the rising of the sun and not from setting of the sun. The rising of the sun and setting of sun is only for dunya, there is no sun and moon in Paradise. So when Allah says, “This is not from mashariq wal magharib,” this is not from rising or setting. Means it’s not from your dunya, this is from Malakot (heavens), this Light. Means seek that Light, seek that reality. Awliyaullah carry that Light as an inheritance from Sirajun Munira, that Prophet ﷺ gives to them in their heart. Because if you dive into that ocean, dive into that ocean, and you reach the Maqam al Iman, in which you love Prophet ﷺ more than you love yourself, and you become from Ahbab un Nabi ﷺ, the lovers of Sayyidina Muhammad ﷺ, Prophet ﷺ makes your heart to be like a lantern. When you love Prophet ﷺ more than you love yourself, then what’s in your heart if its not your self? Prophet ﷺ. Because he said, “Love me more than you love yourself.” If you achieved that, means your self is no longer in your heart. 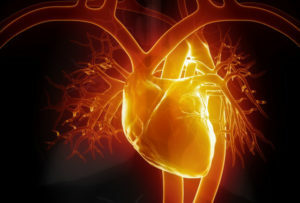 What is in your heart? 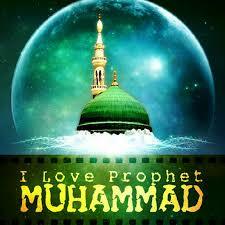 It is Prophet ﷺ. He says, “I make for your being like a lamp, where you go, you are giving a luminous light to everything.” If they accompany you, you will revive the dead heart. If that Light enters into the heart of the believer and makes them to be illuminated by Allah’s Grace and Might, means they begin to power all their being. If they reached to that, their hearts are lit, their body are secured by energy. There is no dude eating them. Ironic how this dunya people call each other ‘dude’. Do you think Allah brought a program so that we would understand? So why do people go around calling each other ‘worm’? So that we would understand. Allah is giving hints in the program, it has been written; whatever Prophet ﷺ brought for us we see the signs everywhere. So means attain a rahma is through the adab, through the tariqa, means the good character. All of those qualities that the turuq have. Come to learn manners, come to learn good character, come to take away badness. And do muhasaba and accounting at night. Do tafakkur and muraqaba and bring Allah’s eternal lights within the heart. Means bring the love of Sayyidina Muhammad ﷺ into the hearts. Sayyidina Muhammad ﷺ becomes Muhi al Qulub. O the reviver of the hearts, O the eraser of the sins, Peace be upon you. Prophet ﷺ is teaching that, “if my Light begins to enter into your heart,” do you think “Qul ja al haqq wa zahaqal batil”, that every falsehood in you, Prophet ﷺ’s Light is going to be sitting with that? If this Light begins to come into the heart, the Light of Prophet ﷺ will destroy all falsehood; no falsehood stands in the presence of Prophet ﷺ. That is why these people can’t clean themselves, and they don’t leave their sins and their bad actions. Ahbab un Nabi ﷺ, lovers of Prophet ﷺ, they don’t need to clean themselves. Prophet ﷺ is cleaning them because the love of Prophet ﷺ is all in there heart. And when that Light is coming, its cleansing and cleaning everything with Izzatullah. We pray that Allah grant more and more understanding in this month from the barakah of Sayyida Fatima Zahra that dress us, bless us, become qamarun and prepare for us the holy month of Rajab, Shaban and Ramadan inshaAllah.